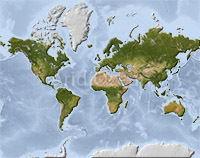 World map, shaded relief with ocean floor, centered on India. 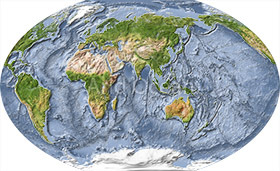 World map, shaded relief, centered on India, with shaded ocean floor. Colored according to natural appearance. See the Description of World Ocean Relief A layer structure for details. 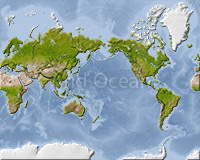 World map, shaded relief with ocean floor. World map, shaded relief, centered on India. 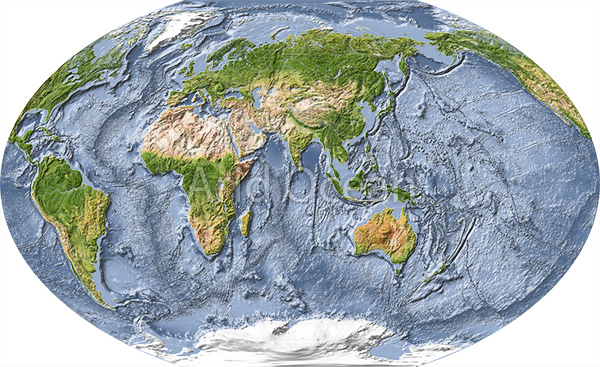 World map, shaded relief with ocean floor, centered on the Pacific. World map, shaded relief with ocean floor, cented on the Pacific.